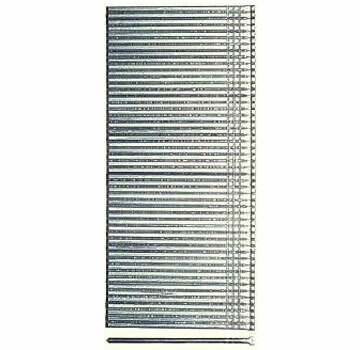 PRODUCT: 2 inch x 16 Gauge T50 Brad Finish Nails, 304 Stainless Steel, Plastic Straight-Collated. 2500/box. Price/Box. APPLICATIONS: Larger Baseboard, Crown Moldings, Fascia, Fine Furniture, Face frame, Finish Nailing. Straight Collated with Mylar Tape. 2 inch x 16 Gauge (F16 Series T50) Brad Finish Nails, Galvanized, Straight-Collated. 2,500/Box. 12 Boxes/Case (30,000). Price/Case. SPOTNAILS WB1650 1 to 2 inch 16 gauge BRAD AIR NAILER KIT. Includes tool, hard case, oil, allen wrenches, safety glasses, product documentation.